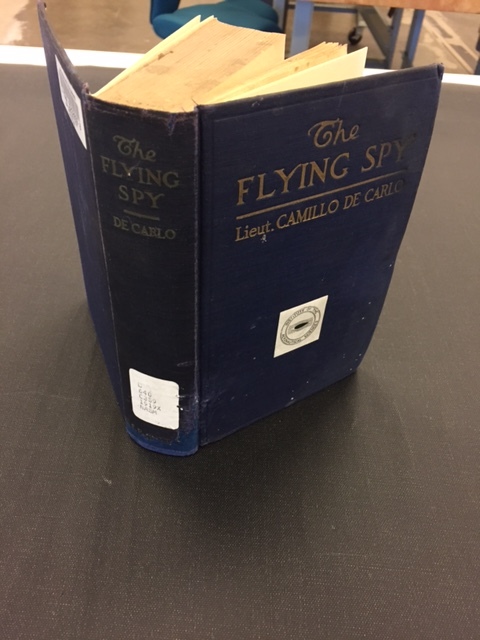 A book, The Flying Spy, from the National Air and Space Museum Library came to the Book Conservation Lab with a unique, though not exactly rare, problem: Pest Damage. 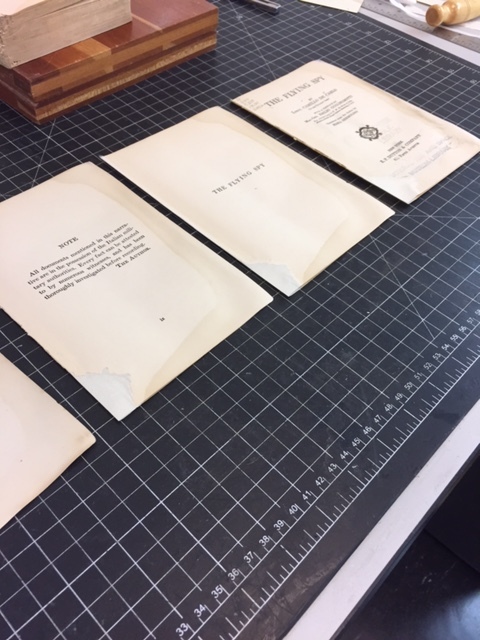 As book lovers and good library patrons, we all know the importance of the proper handling of books. 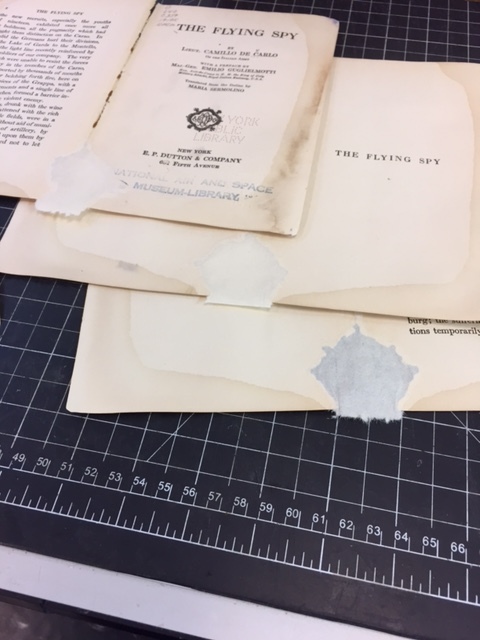 For example, we know to store them properly (up off the floor, away from damp conditions), handle them gently, and to not eat nor drink over them whilst reading. 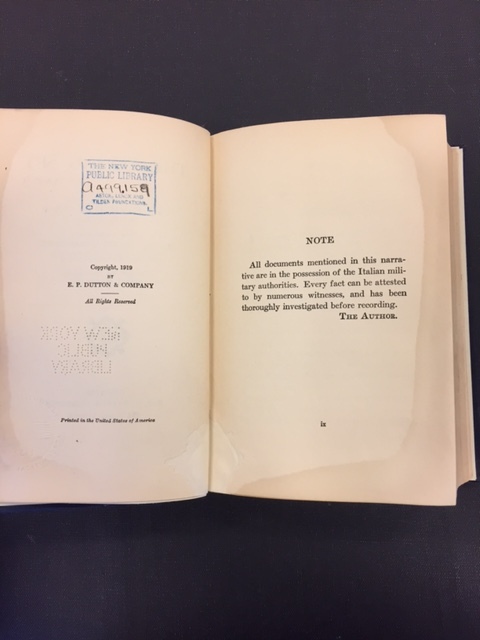 It is often left unsaid, however, that beyond the obvious damage improper handling can cause a book, such actions can also attract pests later on, and while no one is looking, damage, sometimes irreparable, can occur. 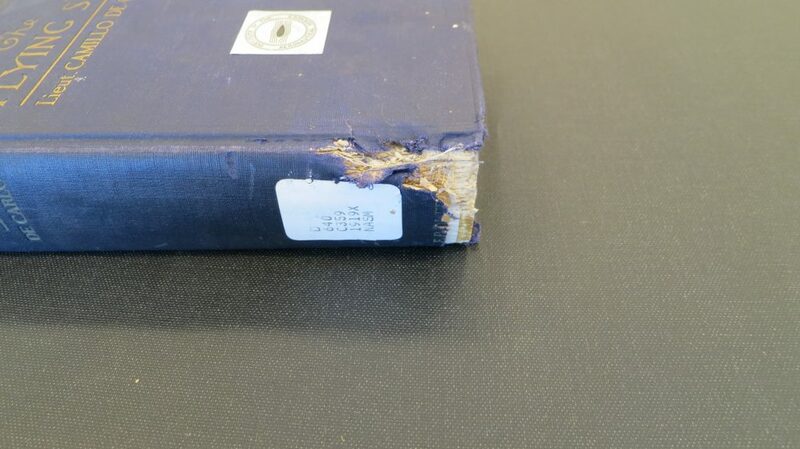 It is clear that this book has been chewed, either by insects or rodents. 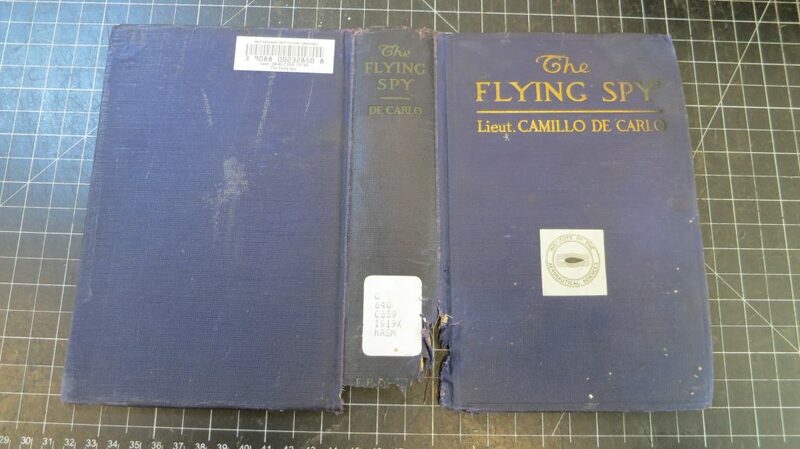 The pest, most likely some small rodent, was attracted to this book. 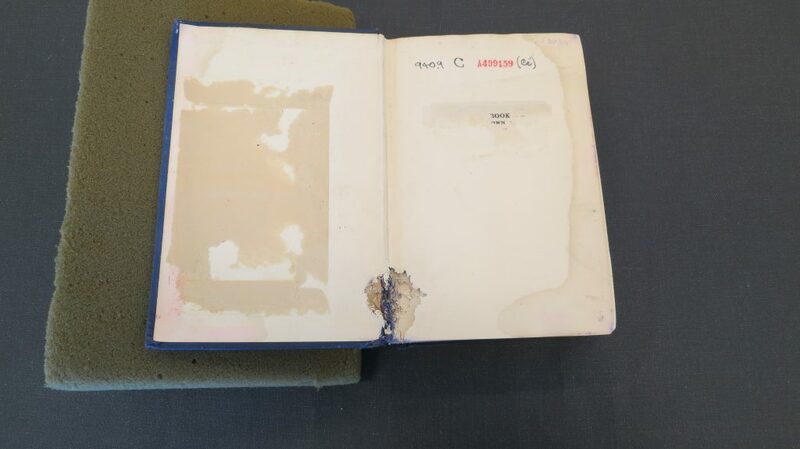 In the pictures above, you can see that the damaged cover has been removed and that the first handful of pages have also suffered damage. 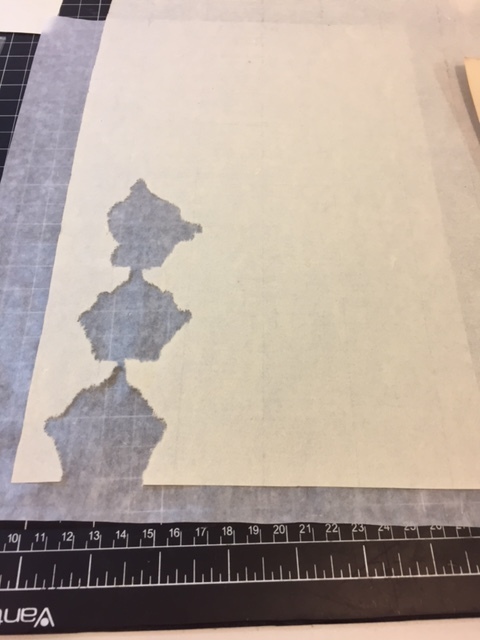 After removing both the cover and the section of chewed pages from the book, it was mended using Japanese papers and appropriate adhesives. 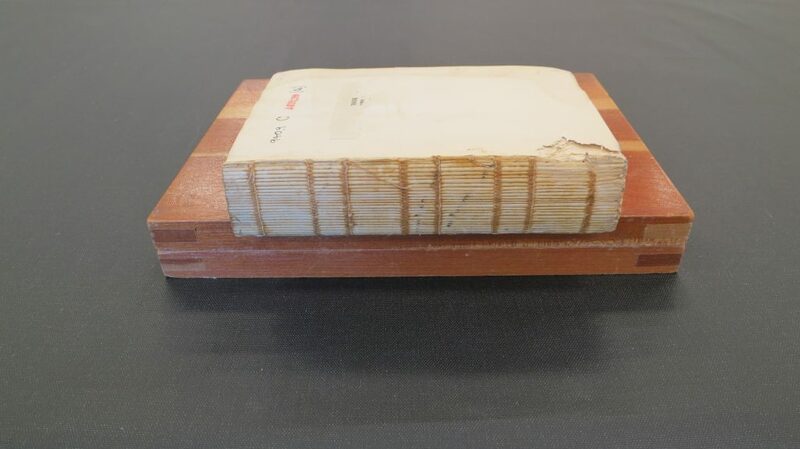 Care was taken to match as precisely as possible the areas of loss with the repair papers. 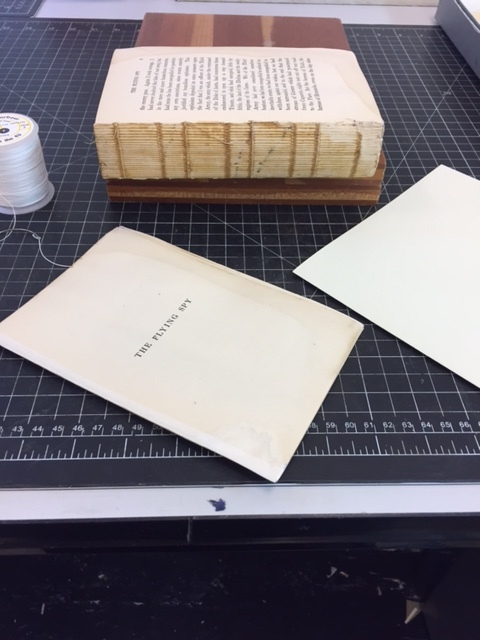 Once the pages had been mended they were gathered back up and resewn into the text block, along with new endpapers. 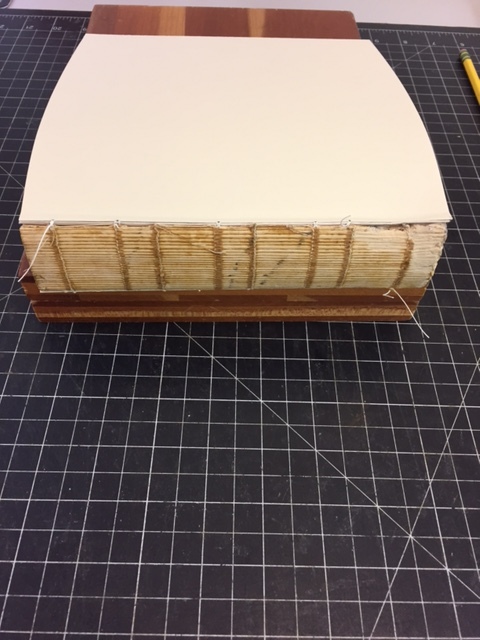 The cover was also mended, this time with toned and reinforced Japanese paper, to match the blue cover and to provide support the book needs to be robust and long lasting. 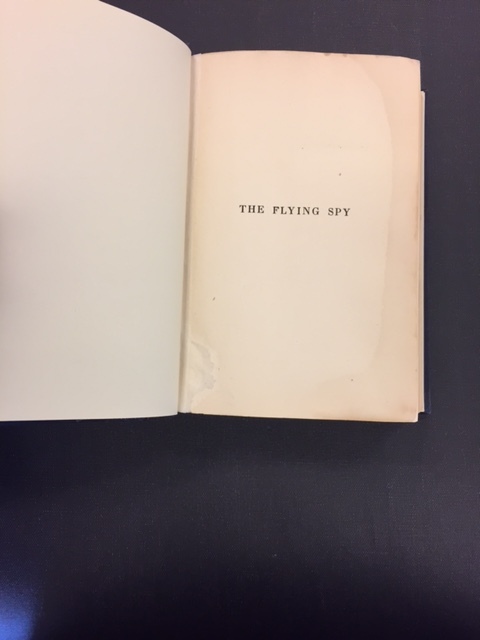 The Flying Spy has had a rough journey, but lives to see many more days. 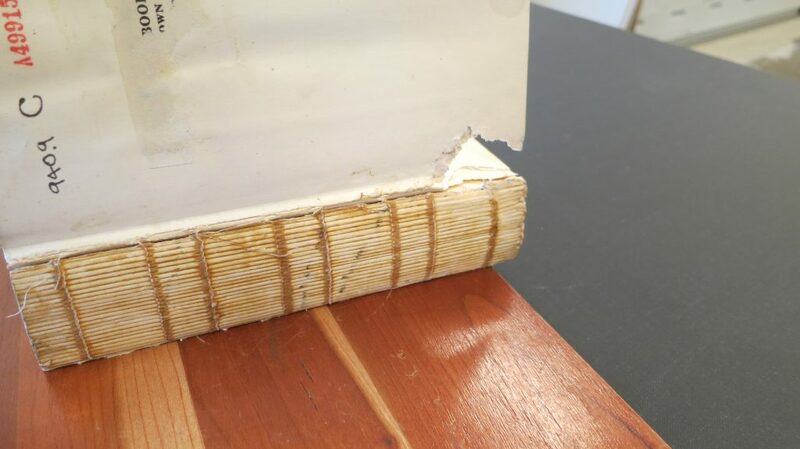 Not all pest damage can be repaired, and hopefully the above pictures provide inspiration to practice good preventative measures with our own and others collections.